Optimus Ride, a Massachusetts Institute of Technology spin-off company, starting in June will provide tenants in buildings currently on the Halley Rise site at One Reston Crescent and Two Reston Crescent with access to its reservation system and on-demand ride services completely contained within the 36-acre development. Brookfield (NYSE: BAM) rebranded Reston Crescent as Halley Rise last year. 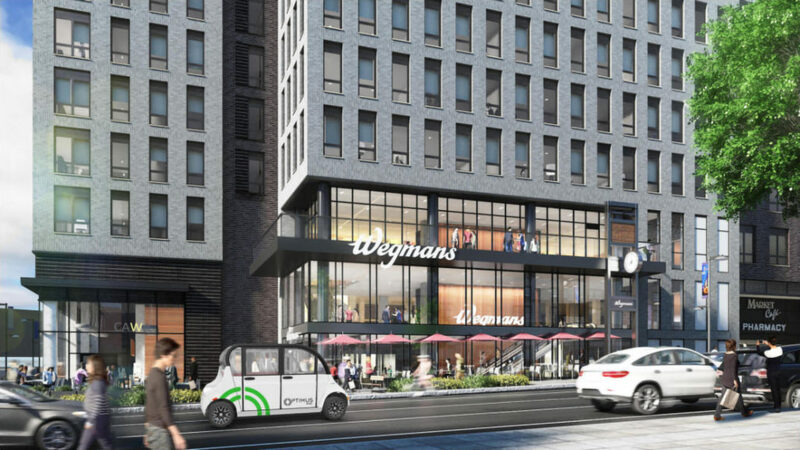 During the initial phase, three self-driving vehicles will transport tenants in office buildings to parking lots at the site. An onsite operations team will monitor the fleet service as well as provide maintenance, cleaning, charging and updating of the vehicles. In the future, Optimus Ride plans on deploying its self-driving cars at Brookfield properties worldwide. Wegmans will take 80,000 square feet by the planned Reston Town Center Metro station, as the retail anchor in one of the planned mixed-use building. Construction will begin mid-2019 with the first phase — with 640 residential units, 450,000 square feet of office, 200,000 square feet of retail and two new parks — expected to deliver in 2022. The overall 3.5 million-square-foot development will encompass 10 blocks, including two existing office buildings, with a mix of 1,500 residential units, 1.5 million square feet of office, and five acres of open space.